Spring is the base of the airsoft gun. It is part which notably affecting shooting range. 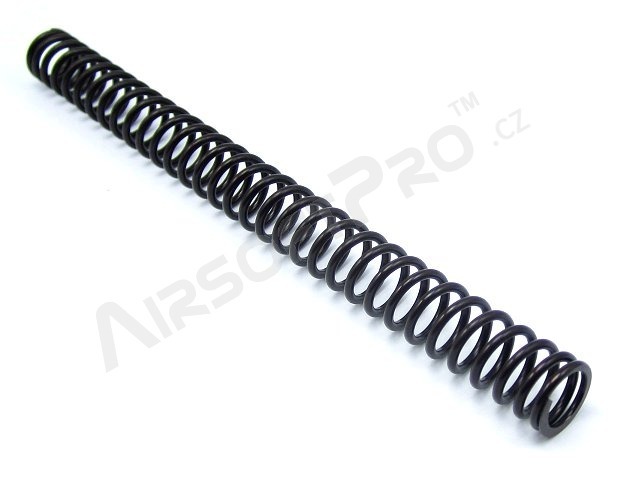 This spring is made of tempered SiCr alloy steel wire. Material primary dedicated for machine springs under rhytmic load. Expected velocity on well sealed will be around 180 m/s (600 FPS). This spring is primary dedicated for spring action SVD. But can be used for AEG. But without thrust bearing on the piston head or spring guide. Suitable for SVD sniper rifles and require to replace the center ring. See related products bellow.